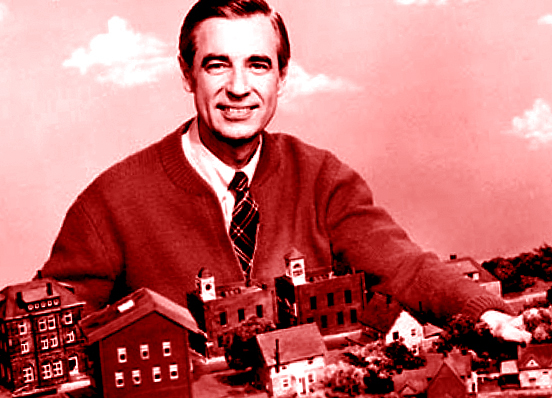 It’s a beautiful day in the (virtual) neighborhood. A beautiful day for (a virtual chat with) a neighbor. Remember people? Actual three-dimensional humans, with faces? Not just pictures of faces, or avatars with faces, but faces that are spatially extended? Soon you may not. Social networks and information technology have performed wonders by building virtual bridges across the world. You can ICQ your friend in China, Skype a pal in Norway, and poke a mate in Australia (not as dirty as that sounds). Now, though, our virtual social networks are intruding in places where our literal social networks had always reigned. IM+Pro, a $10 multi-client chat app for iOS devices, has gotten a new update called “Neighbors,” says 9To5Mac. Tired of reconnecting with that friend you made while in the Peace Corps in Nigeria? Activate Neighbors, and you can chat–via your device, that is–with people in the area. A map pops up, and depending on how much information your interlocutor has permitted you to access, you can know if they’re just in your city, or if they’re on a nearby street, or if they’re at a particular address, even. IM+Pro supports just about all the major chat platforms, GTalk, Yahoo, AIM/iChat, ICQ, Twitter, Facebook, Jabber, and Skype, among others. It’s not the only instance of becoming the virtual. Home Elephant bills itself as “the world’s first app for neighbors to connect.” It serves as a sort of virtual neighborhood watch. “What’s the neighborhood scuttlebutt?” “Are there any babysitters on the block?” “When is trash pickup this weekend?” “Is the furry convention over yet?” are a few of the questions the app’s site suggests you ask your neighbors (Okay, yes, I made up the last one). The app is available on your iPad, iPhone, or Android. So far 3,803 neighborhoods in 38 countries are involved. In fairness, of course, both apps can enable real-world encounters that might not otherwise happen. But this is dangerous technology, threatening the very bedrock of American suburbia: baking. Until the day cups of sugar become transmissable via wireless, 3-D printing, traditional face-to-face meeting ought to remain the central mode of communicating with the people who are, literally, right next door.